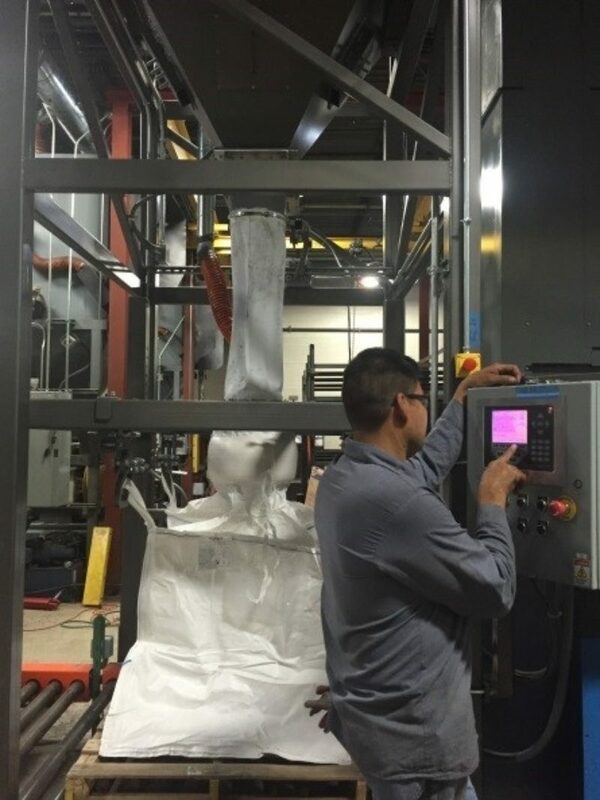 December 3, 2018 - Sterling Systems & Controls, Inc. is pleased to announce the availability of its line of bulk bag handling systems. These include customized unloading systems and also customized bulk bag filling systems. Bulk bag unloading systems can include bulk bag discharging, material weighing and batch dispensing, along with the controls required for automatic operation. Systems performing the filling of bulk bags include weigh scale, customized mechanical structure and any controls and automation required. Just such systems have been successfully operating within many different industries, including many leading powder processors. 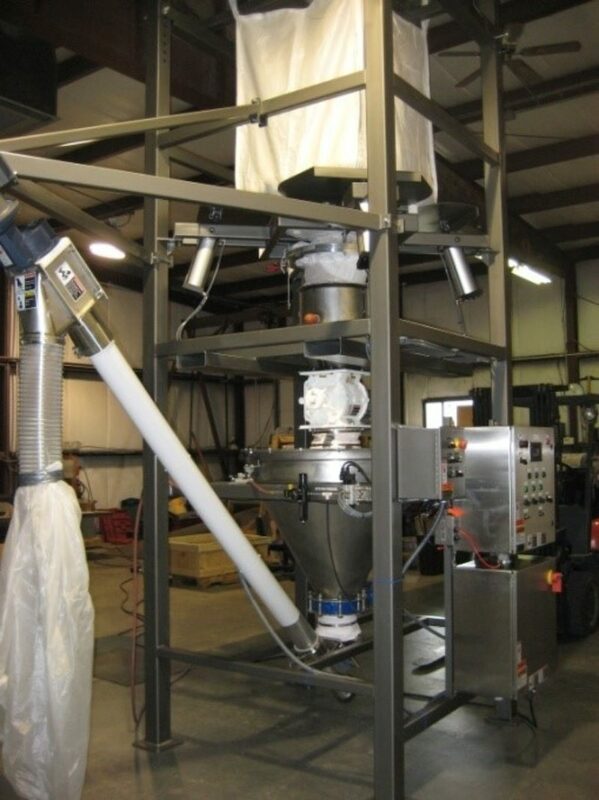 A comprehensive bulk bag unloading system for this powder processor (Fig. 1) incorporates the mechanical structure which houses and supports the bag discharge, material weighing, dispensing (flexible screw conveyor) and control panel components. Bulk bag filling is a customized application, like bulk bag discharging. Each application can be very uniquely different. The bulk bag filling system shown in Fig. 2 is installed in a Peat processing system and incorporates PLC based controls with touchscreen graphic display as shown. Mechanical components are provided to fill or unload the bulk bag, accurately weigh the desired amount of material as set by the operator, and then dispense the batch of material into a container for production use. In addition, Sterling is a UL listed control panel builder and provides the VFD panel and equipment along with a system control panel. Based upon an upfront review of customer goals the bulk bag handling systems are custom designed for efficient and accurate operation to meet the needs of the customers’ production system.